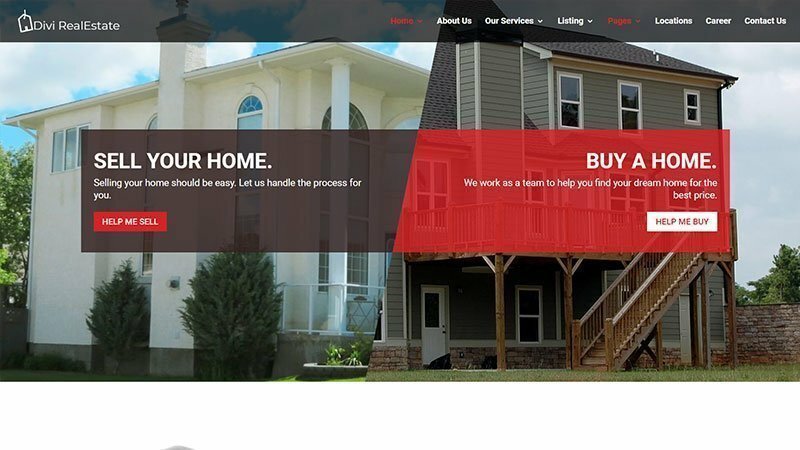 If you are looking to set up a real estate or property niche website with Divi then these real estate child themes and layout pack may be a quick and easy way to get your site online. Each of these themes uses different listing methods to manage the property listings but all allow you to add and manage home rental and/or sales listings to your real estate site and for users to easily search those property listings. Each also includes the standard page templates you might expect from a real-estate site. If you prefer to take advantage of the free Divi Builder layouts then the 5th option in the post below combines an Elegant Themes layout & tutorial combo that shows you how to create a property listing site using the free Divi builder real estate layout pack and an integrated 3rd party plugin. This may take longer to set-up, but you will also save yourself a little money and learn something new. DiviEstate is a premium Divi child theme for real estate websites released by B3 Multimedia. This theme uses the Advanced Custom Fields plugin as the basis for property listings. Maisons is a premium Divi child theme for real estate websites released by Divi Diva. 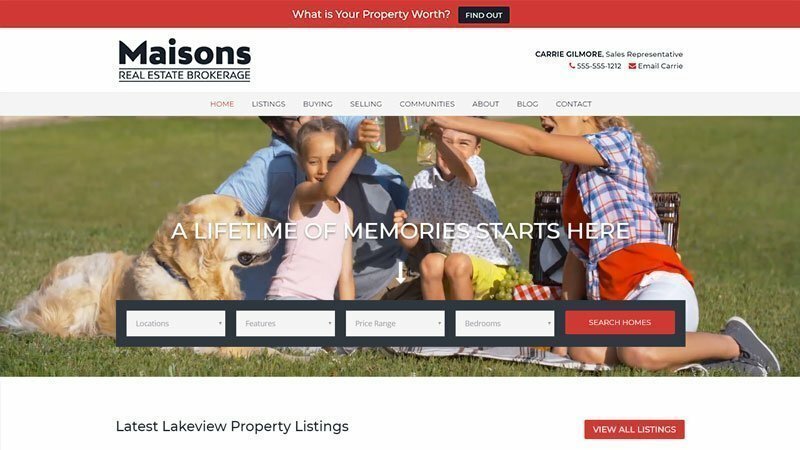 This theme uses the IMPress Listings plugin as the basis for property listings. Pro Estate is a premium Divi child theme for real estate websites released by Divi Professional. This theme uses the Advanced Custom Fields plugin as the basis for property listings. 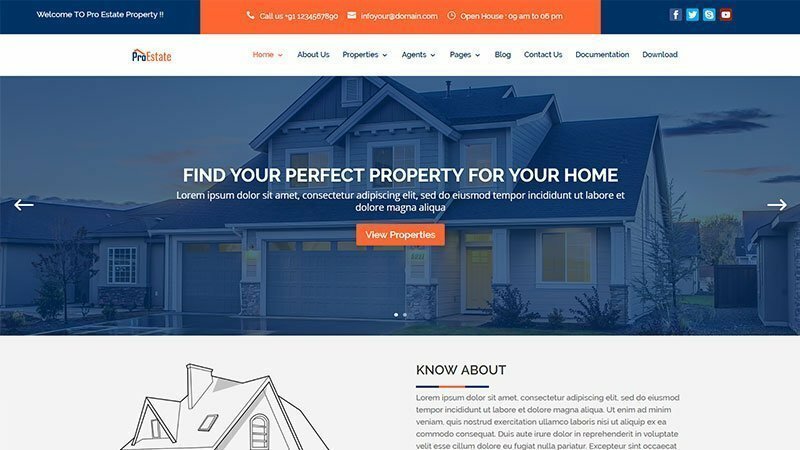 ProEstate is probably the most comprehensive & feature rich Divi WordPress theme that is made for real estate businesses ,independent real estate agents and residential or commercial rental business online with no hassle. Divi Real Estate is a premium Divi child theme for real estate websites released by Divi Extended. 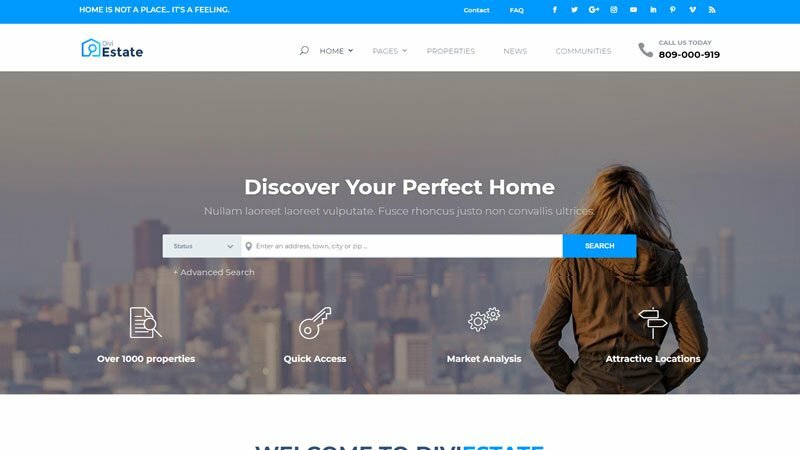 Divi Estate is a free Divi layout pack for real estate websites and is released directly in the Divi Builder layout library by Elegant Themes. 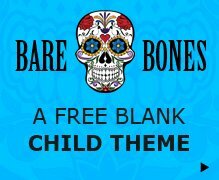 You can access this layout pack and hundreds more for free as part of your Elegant Themes membership. 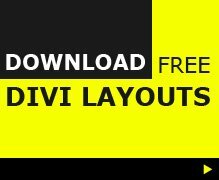 This free layout pack is available to load directly from your Divi builder pre-defined layouts library. 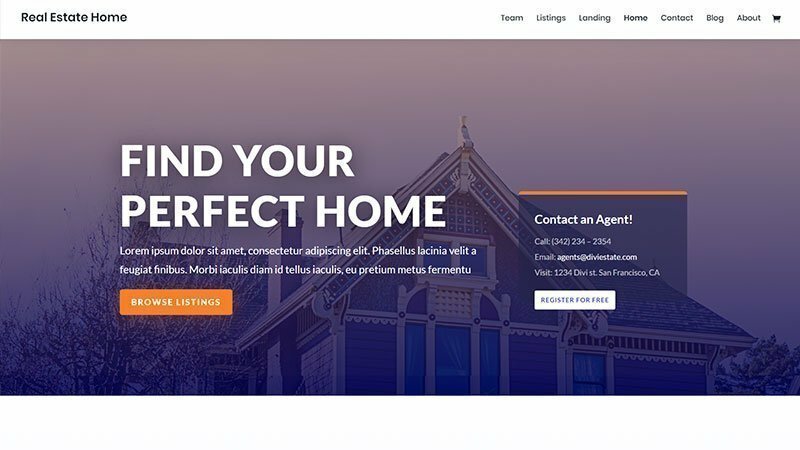 Once you have the layout set up on your site you can follow the Elegant Themes tutorial “How to Add Real Estate Property Listings to Your Website with Divi” to add the property listings functionality to the page layouts. This tutorial uses the WordPress Property Listings (WPL) plugin as the basis for property listings. 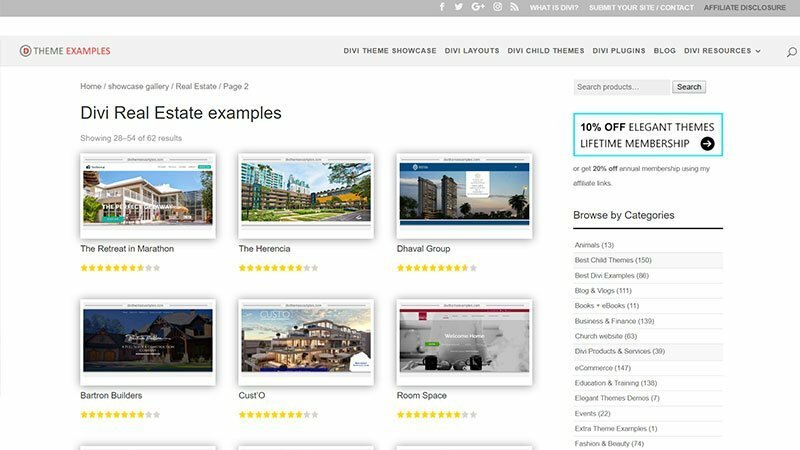 If you are looking for examples of real estate and property websites then Divi Theme Examples showcase gallery is the best place to see the best hand-picked websites built with Divi. There are currently 64 live websites listed in the gallery using various estate agent plugins for listing properties, so take a look and see what inspiration you can find for your next real estate website. If you have created a site with Divi and would like to share, feel free to drop a link in the comments below and it may even make it into the showcase gallery too.